Concert Overture No. 3, "Jacta Est Alea"
"(Nixon) was, on this showing, a highly skilled practitioner in the styles established by Schumann, Brahms and Mendelssohn ... the Kodály Philharmonic handles this unfamiliar music adeptly and with a notably expressive warmth of tone and readiness for drama. Their tone is ample not thin. Nothing is shortchanged by these musicians who pour into Nixon's music the profound depth of feeling it appears to invite ... highly adept music that will please greatly rather than simply satisfy curiosity." 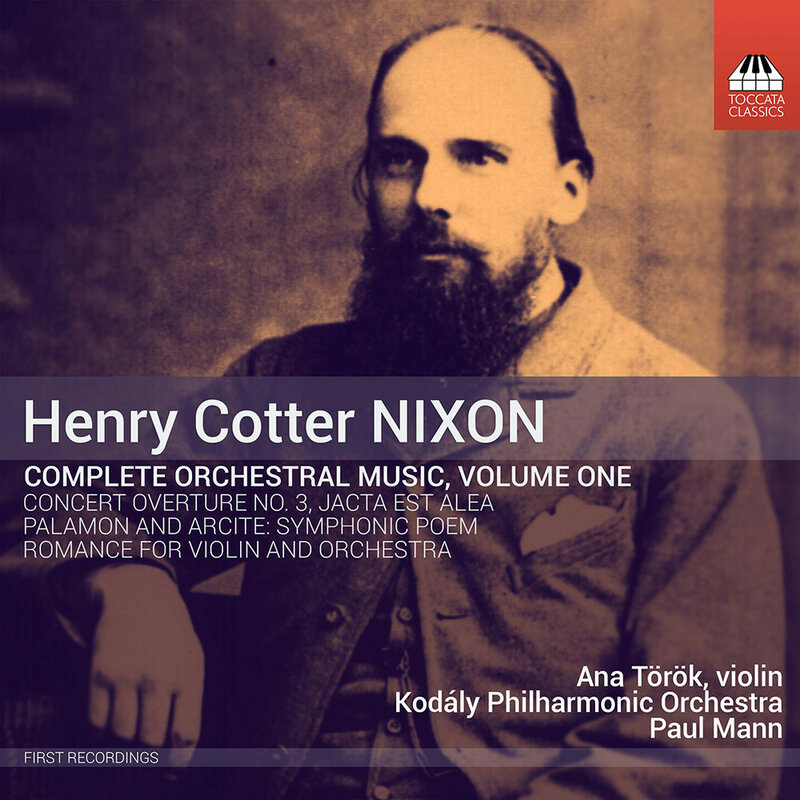 Henry Cotter Nixon has all but entirely disappeared from music history, a great shame as these premiere recordings reveal him as one of the most accomplished English composers of his generation. On this acclaimed first volume in a series presenting all of Nixon's surviving orchestral works, Paul Mann leads the Kodály Philharmonic Orchestra, joined by guest volinist Ana Török on Romance.